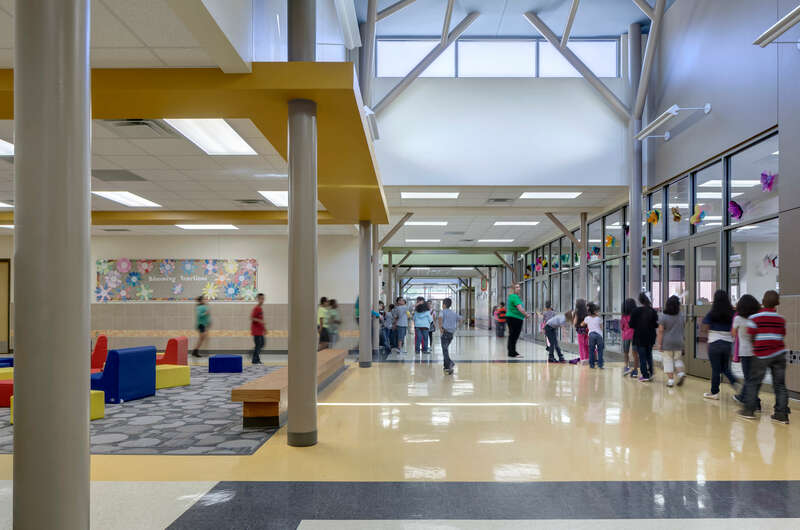 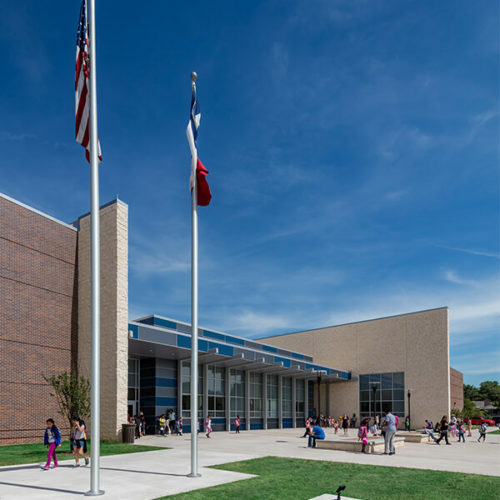 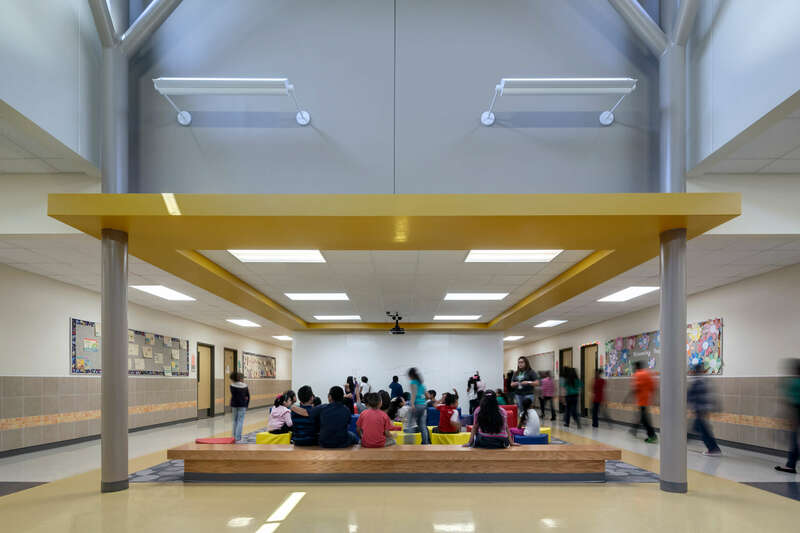 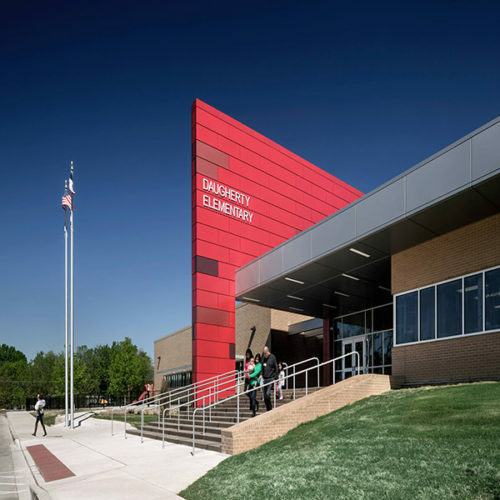 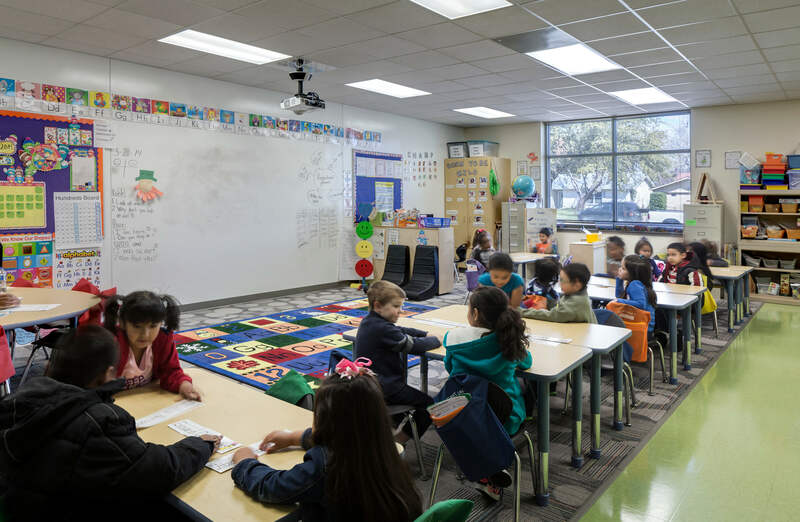 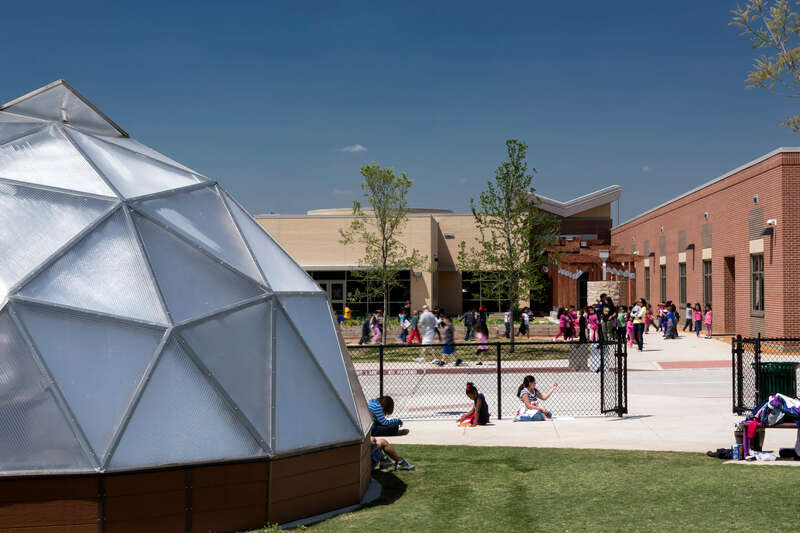 The design of the De Zavala Elementary school corresponds to the environmental focus of the school’s curriculum. 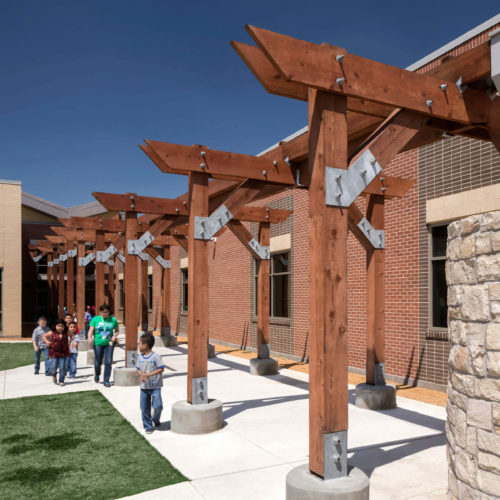 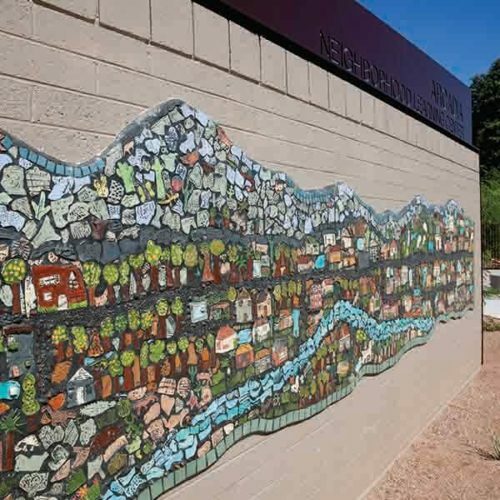 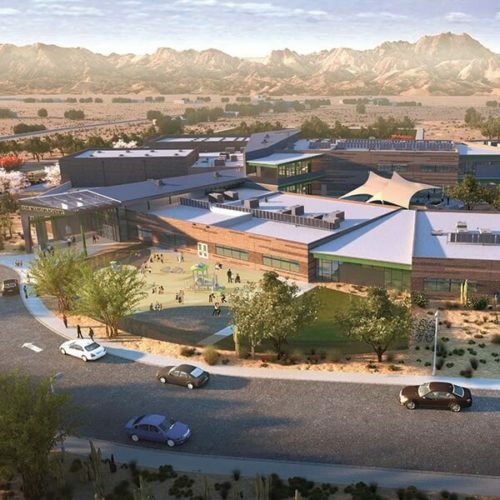 Students enter through a large entry plaza accented with native landscape. 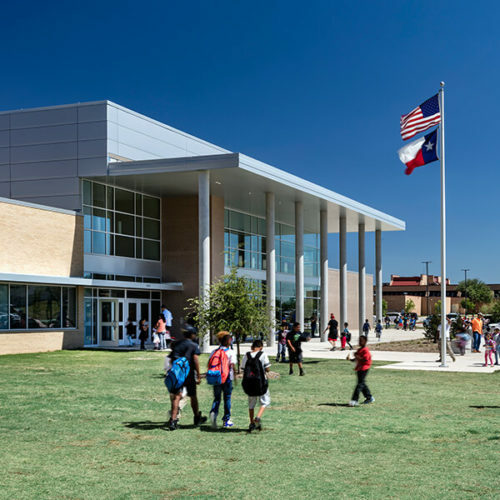 An iconic butterfly roof above the main entry axis leads through the building to an active learning courtyard beyond. 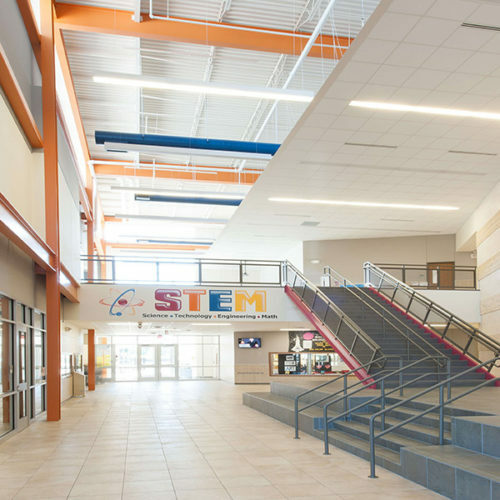 Structural steel tree columns line the interior spine, accented with four light filled open classroom nodes, reflecting colors of the four seasons. 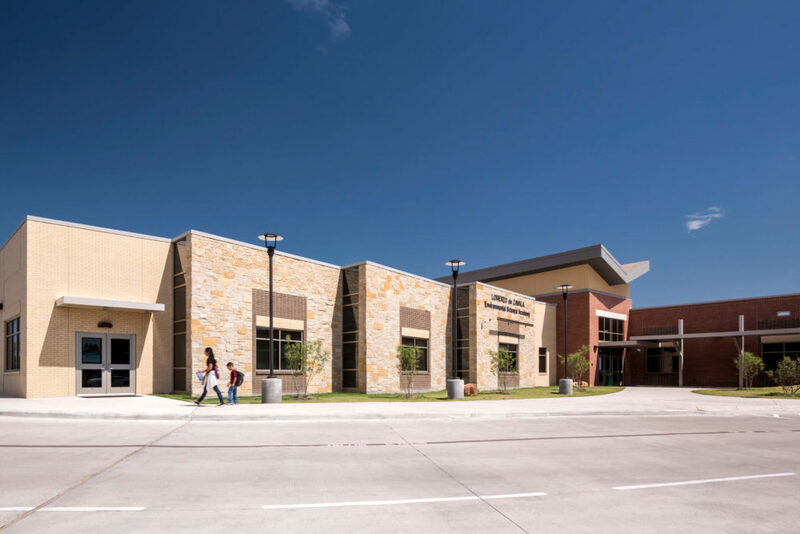 A single structural tree centered in the media center at the heart of the school supports the circular clerestory which fills the space with natural light and provides a unique reading and storytelling area for learners. 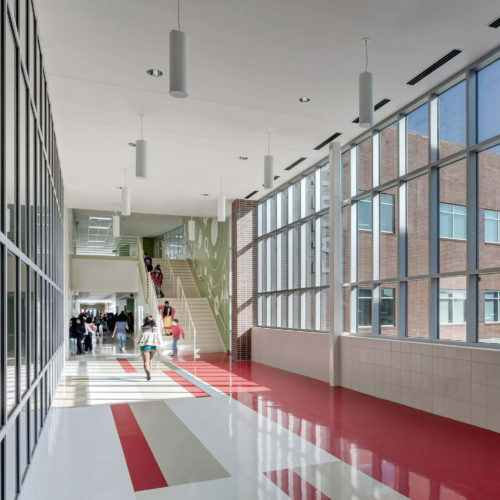 Large glass doors lead into the project based learning lab with direct access to the outdoor classroom and garden beyond.